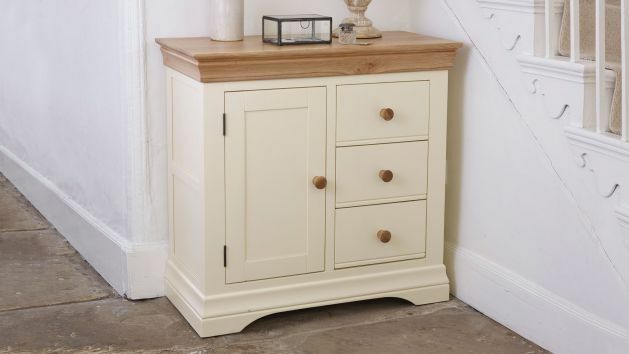 For those who crave stylish storage solutions, look no further than our great range of painted and mango storage cabinets. For those of you who crave stylish storage solutions for your living room or dining room, our stunning storage cabinets are the perfect addition to your home. Featuring smooth painted bodies with stunning solid oak tops, or lovely exotic mango wood, they have been designed to showcase your belongings in the best way possible. Shelves are made from thick solid hardwood, so they will protect your belongings with no bending or bowing, and all drawers are finished with real dovetail joints for strength and durability. Browse our full range of painted and mango storage cabinets today.